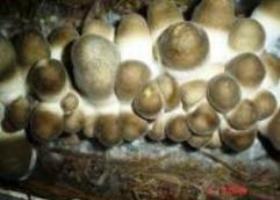 Quality mushroom seeds are necessary for successful in Mushroom cultivation. ‘Eco-care & Aware’ has taken initiative in providing quality seeds to interested farmers in the name of Eco-Mushroom. 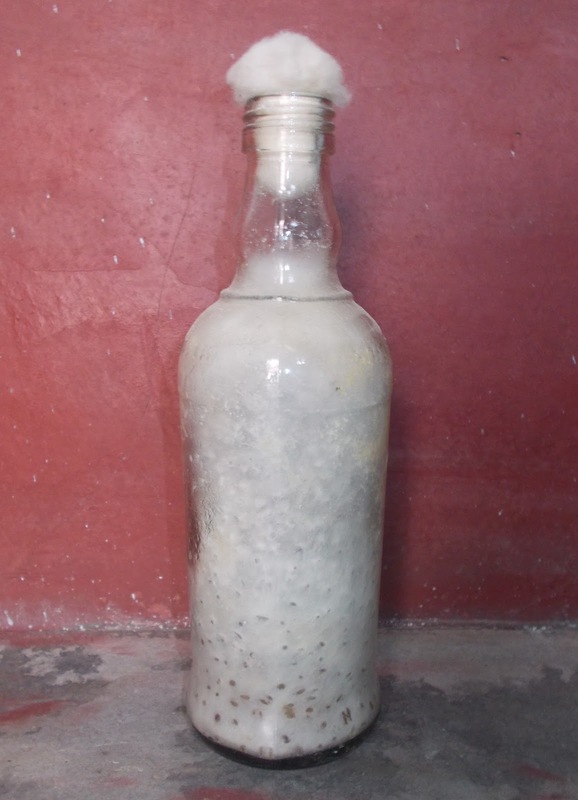 Basically we provide two types of mushroom seeds namely Paddy Straw and Oyster(Prepared in Bottles, see Picture). Paddy straw Mushroom are grown throughout the year in Odisha. But Oyster mushroom are generally grown in winter season only. These two types of mushroom can also be grown throughout the Indian Subcontinent. We can also deliver to other areas through courier services or by Train. Unlike other agriculture practices, mushroom farming(Paddy Straw) has a production cycle of only 15 days. ie farmers can get their return from mushroom farming within 15 days, that too 3-4 times of their initial input cost. Cost per bed is about 60-70 rupees(INR) and Yield from one bed is appx. 1 kg to 1.5 kg ie about Rs. 200/- (INR) return as per market price of mushroom. So farmers can get net profit of of 130/- or atleast Rs. 100/- profit per bed (deducting all the risk factors) within 15 days. Farmers/Entrepreneurs having 3-4 decimal (1200 sq. ft) of land can earn monthly profit of Rs. 20,000/-per month through paddy straw mushroom cultivation. Paddy straw cultivation beds are laid out under well ventilated shed(shed of any material) having its four sides covered by Jute bags, bamboo mats or vertiver root mats (Bena Chera) or any other net for good ventilation of air. A shed of 1000 sq ft. can support 100 beds(Paddy straw) per 15 days(production cycle) or 200 beds per month. MUSHROOM SPAWN UNIT : One small scale mushroom spawn production unit which produce 200 bottles per day can earn a profit of Rs. 50,000/- per month (Details of Mushroom spawn production informed below). COST OF SETTING UP : Rs. 1,50,000/- (One Lakh Rupees only) including 12 days on the site training & Knowhow transfer. We are now providing Paddy Straw(Volvariella volvacea or Volvaria volvacea or Agaricus volvaceus), Oyster(Pleurotus ostreatus) and Milky mushroom spawn technology. The total expenses for the equipments, accessories and services is INR Rs. 1,50,000.00 (excluding the delivery expenses). A part from this you have to make some on the site arrangement. We are taking an advance of 60% of the total amount i.e. Rs. 90,000.00 in the form of cheque/DD or organisational account deposit (Bank Acct. details given below). Rest Rs. 60,000.00 along with the delivery charges will be paid after the delivery and installation of Mushroom Spawn unit. Within one week of receiving the advance our experts will move to your area with the equipments and accessories. They will give you details of layout of units, and practically demonstrate and orient you on spawn production and Mushroom Cultivation. If necessary two of your delegates will be demonstrated and be trained here in Bhubaneswar for two days. after completion of layout and installation, our master trainers will train your personnel on the site for 12 days. 1) Paddy Straw : Straw of local paddy is usually good for paddy straw mushroom cultivation. Specially straw from paddy variety with white primodia, narrow, stiff and un-threshed(by bullock or tractor) is required. Paddy straw when trodden by bullocks or tractor, loose stiffness and easily rots when it comes in contact with water, gets compressed which is not good for mushroom mycelia growth. As such straw obtained through harvesting by beating the straw bundles with hand are always good for mushroom cultivation. Only the top and panicle portion is removed. Paddy straw should be harvested leaving only 4” to 6” from the ground level. This is because on fungal species is found at the base portion which caused rotting and contamination of the straw subsequently. Paddy straw from variety C.R.1014, 1242, 141, T90, is good for preparing mushroom beds.A mushroom bed of 2 feet length, 2 ft wide and 2 ft height is prepared from 10 to 20 bundles of straw as per the thickness of the straw bundles. First hold on the top of straw bundle and loosen the binding of the straw bundle by doing so the leaves come out. If leaves will remain, it will hold more water for long time and cause rotting of the straw soon. 2) Mushroom Spawn: For one bed of mushroom 250 to 350 gm of mushroom spawn (seed) required. The culture should be free from infection. 3) Nutrition : For cultivation of paddy straw mushroom, powder of bengalgram, lentil, horsegram, red gram, blackgram or green gram and wheat bran and paddy husk is used. Powder obtained from bengalgram with its seed coat gives more yield form powder of bengalgram with seed coat. 1) Remove leaves of the straw bundle and cut to 2ft size with a straw cutter. The required number of straw bundles are soaked in a tank of clean water for 12 to 16 hours. Water from ditches, ponds etc which are dirty should not be used. At the time of soaking use 100 ml of formalin and 10 grams of bavistin per 100 liters of water. Where electric heaters are available hot water should be used for treating the straw bundles. 2) Remove the straw bundles from water and keep in standing positions for 5 to 6 hours so as to drain out the excess water from the outside and inside the straw bundles and only 75 % moisture will remain in the straw bundles. 3) Spawn of 2 to 3 weeks should be used. Break the bottle and remove the glasses. Use cotton to remove small glass piece if stick to the spawn. Divide the spawn to 4 equal parts and make small pieces of spawn having size of thumb finger. 4) Use 250 gms of Dal powder grinded from whole grain of bengalgram. Else use paddy husk or rice bran to reduce the cost of cultivation. It should also be divided to 4 equal parts. 5) After arranging straw, spawn and nutrition, prepare the beds. First put a layer of straw of 6 inches height. See that the bases of straw are towards outer side and top portion are inside. Let the direction of the first layer be east-west or north-south. Take one part of the spawn out of the 4 parts and put the spawn pieces on the bed leaving 2 inches from outer side and at 3 inches distance. Sprinkle the dal powder of Bengalgram or redgram over the spawn blocks and nearby area. 6) Over the first layer, put again 6 inches height of straw. Arrange the straw on the opposite direction of the first layer (East-west of North-south). Take of another part of spawn and put the spawn piece at a distance of 3 to 4 inches as in the first layer. Also sprinkle the dal powder over it as done previously. 7) Put the third layer of 6 inches of straw in parallel direction to the 1st layer and put rest 2 parts of spawn all over the third layer and sprinkle 2 parts of Dal powder too. 8) Cover the third layer with the final 4th layer of straw of 1 to 2 inches width, parallel to the 2nd layer. Now press the layer at the top so that the mycelium can grow well. Cut the spilled straw all around the bed with the help of a seizure. 9) After the bed is ready, cover it with white polythene or stitched sheet of cement/fertilizer bags. First 4-5 days keep the beds as such. After 4-5 days the polythene sheet may be removed for 30 minutes daily for aeration and spray water only on portion of bed where straw is dried. 10) After 10 to 11 days when mycelium growth is observed, the polythene cover may be removed exposing the bed to open air. 11) Harvesting : First flush of mushroom comes out after 13-15 days of sowing. 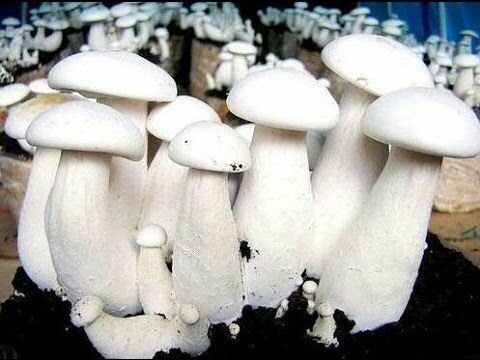 The mushroom should be harvested at bud stage whose demand is more in the market and also tasty on cooking. After 14-15 days first phase of harvesting is done giving 90 % of the yield. The beds may be retained for another after 5-10 days for the second phase of harvest of 10 % or can be taken outside for second phase harvest so that fresh bed can be laid out to save time of harvest cycle.